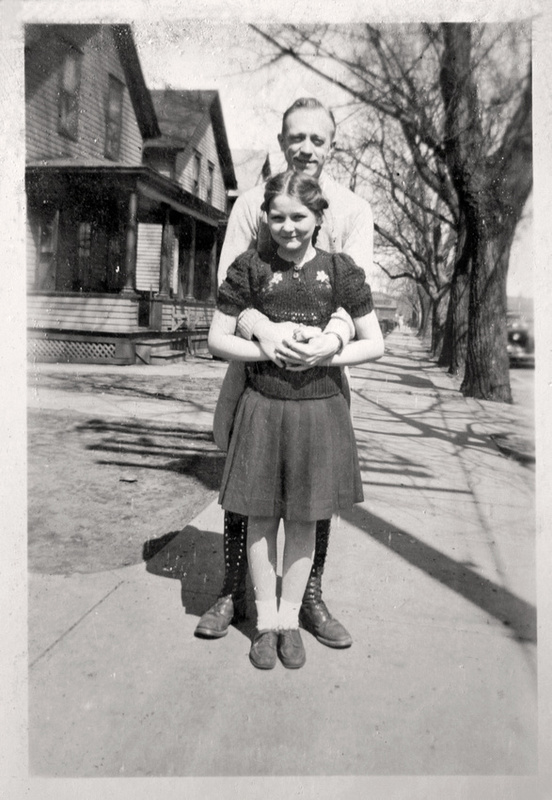 Loraine Anthony McDonald photographed with his daughter Madelyn Ann McDonald. The photo taken in front of the family home at 422 E 19th St in Erie, Erie County, Pennsylvania. The photo was likely taken in the 1940's. From the Frances Philomena Selker Collection. Photographer Unknown. Editing and digital restoration by Michelle M. Murosky. Loraine Anthony McDonald is my great grandfather. He is the father of Mary Eugenia McDonald my paternal grandmother.